These, my friends, are Mortgage Lifter beans. Giant Aztec runner beans that supposedly got their name because their delicious flavor earned a farmer enough money to save himself from imminent foreclosure. Measuring 1"x1/2" when cooked (that's a full sized bay leaf for comparison! ), they are one of the meatiest beans I have ever tasted, having an almost marrow-like flavor and light, creamy texture. 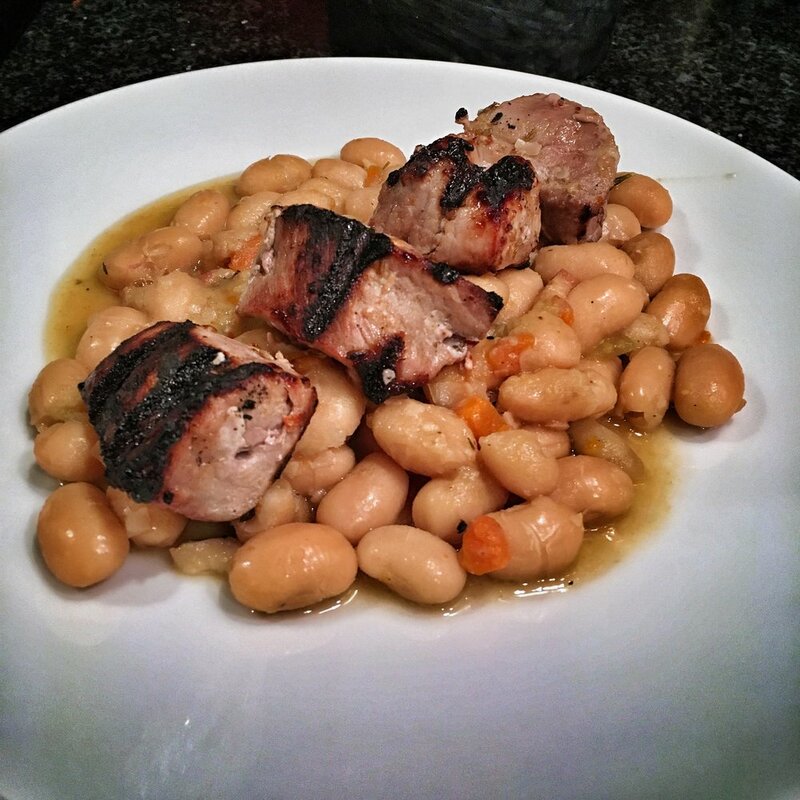 Cooked with salt pork, mirepoix, bay, fresh rosemary, thyme, and water, the broth created by these beans was almost better than the beans themselves. I thought I knew what beans were all about until encountering these gems. I'm inspired to explore all the many Native American heritage varieties grown here in the southwest, many of which are farmed just miles away in Dove Creek, CO.
Pork tenderloin, marinated in gin and juniper, served over slowly simmered Mortgage Lifter beans.